If you missed our live event you can still access the information shared by all the great presenters for 'Life After Art School' now on our YouTube channel. 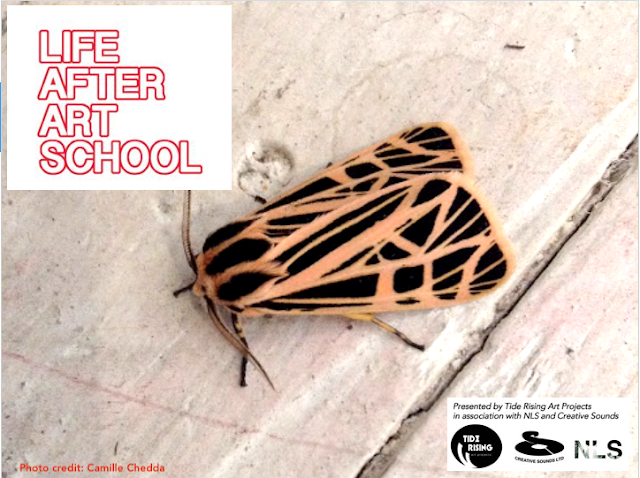 Life After Art School & DAK'ART REPORT were presented in collaboration with NLS Kingston. The event was held on June 26th, 2018 at NLS Kingston in Kingston, Jamaica. The event was aimed at providing new graduates and other interested persons with practical options and strategies for launching and art career. The speakers who participated in the event were independent curator & writer, Nicole Smythe-Johnson; visual artist, art lecturer & Rubis InPulse Art Project's project supervisor Camille Chedda, visual artist & designer Leasho Johnson, NLS Kingston's director & visual artist Deborah Caroll Anzinger; and visual artist/ art lecturer & Tide Rising Art Projects' director Oneika Russell. Please note that this video represents an estimated 75% of the presentations at the 'Life After Art School' live event. Feel free to drop us a line at tiderisingartprojects@gmail.com if you have any business enquiries. Consider joining our mailing list to keep connected.